While Knewton’s alta is a textbook alternative and does not function like one in a traditional sense, there are ways in which you can read and review its content. 1. Begin creating an assignment and choose which topic you’d like your assignment to cover. 2. Next, simply click on the title of a learning objective whose content you’d like to review. 3. You’ll be brought to a page where you can easily filter between questions and instruction and scroll through the potential content your student could see. 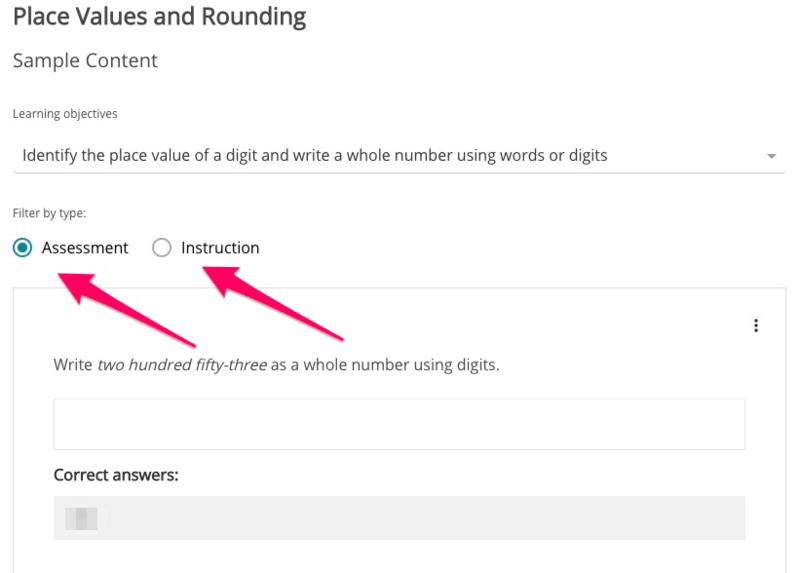 You will also see the answers to potential assessment questions as long as you're a verified instructor. When you’re finished previewing, click Close Preview at the top right of your screen. You can click Cancel on the assignment builder screen to return to your course view. If you’d ever like to view questions and instruction in an assignment you’ve already added, simply follow the steps above to Edit your assignment. Instead of making changes, simply click on the learning objective whose questions or instruction you’d like to review. Click Close Preview when you’re finished. Where can I get help answering a question?